Over the past month, the petition has picked up steam and is currently at over 2,400 signatures — meaning it will be presented in the House of Commons! If you haven’t already, we hope you’ll join us in turning up on the noise for healthy school food, and add your voice by signing the petition today. The petition is open until April 3, 2019. 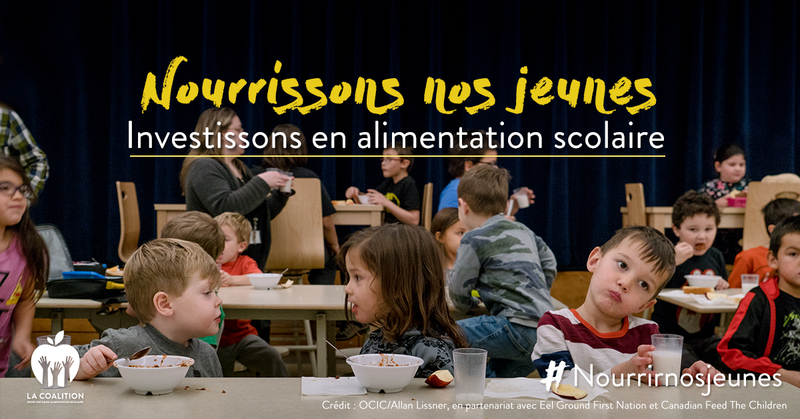 If you believe that all Canadian students should have access to healthy food, and that Canada should join the G7 and other countries that already have a national school food program, you can also help mobilize support by joining the #NourishKidsNow campaign. 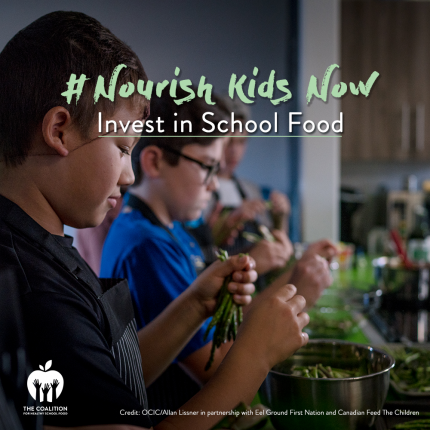 Nourish Kids Now – Invest in School Food is a grassroots campaign advocating for a healthy universal school food program, which would build on the investments of our provinces, municipalities and communities. Not only can you sign the petition, but you can help share it widely on social media and with your local MP. 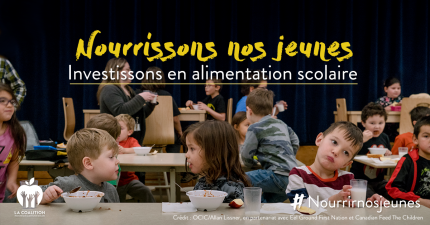 Learn more here, and remember to use the hashtags #NourishKidsNow and #HealthySchoolFood. The farther the reach, the greater the impact! 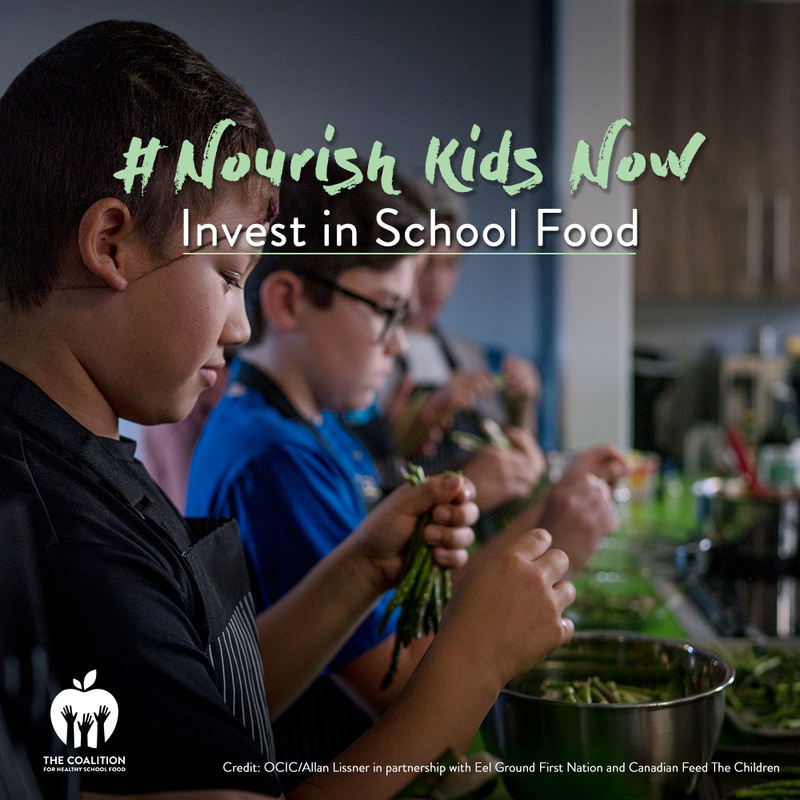 “The cost of implementing a national school food program will pay for itself through improved mental health, learning and other health outcomes. Images by Allan Lissner, OCIC, in partnership with Eel Ground First Nation and Canadian Feed The Children.